They're coming for our memes. 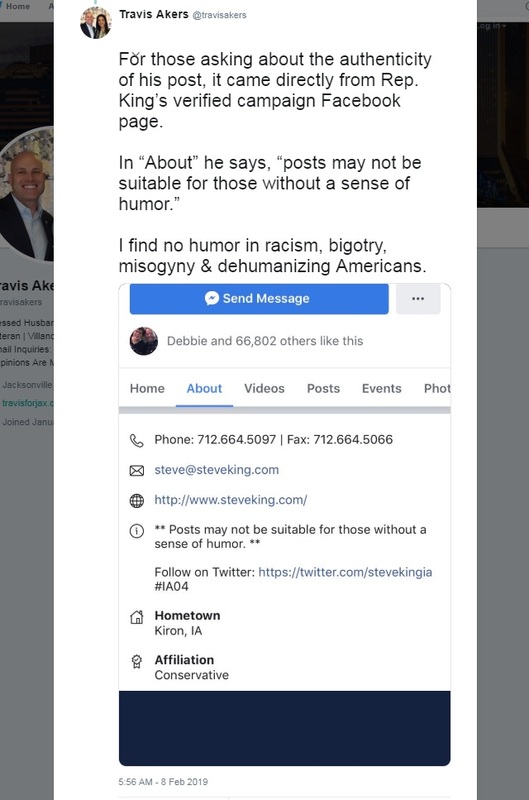 Liberal activist Travis Akers on Friday called for Republican Rep. Steve King to be banned from office for sharing an NPC meme on Facebook after Trump's State of the Union. 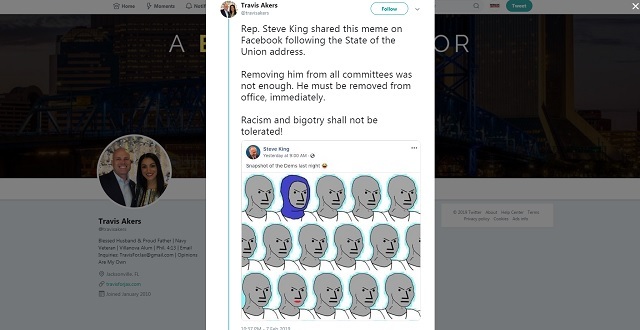 "Rep. Steve King shared this meme on Facebook following the State of the Union address," Akers said. "Removing him from all committees was not enough. He must be removed from office, immediately. Racism and bigotry shall not be tolerated!" Democrat 2020 favorite Kamala Harris suggested on Tuesday that memes which cause libs offense are a matter of "national security" which need to be "deal[t] with." "Consider how strong liberals consider their arguments. They've got all of the mainstream media, one hundred percent. ABC, NBC, CBS, all the cable, the major newspapers, the major news magazines, they've got Yahoo, AOL. They have the Swamp, they’ve got Hollywood, they have Silicon Valley. And now they're down to the last corners of the internet."